Camp Reynolds, a Civil War-era fort, once inhabited by officers and their families. 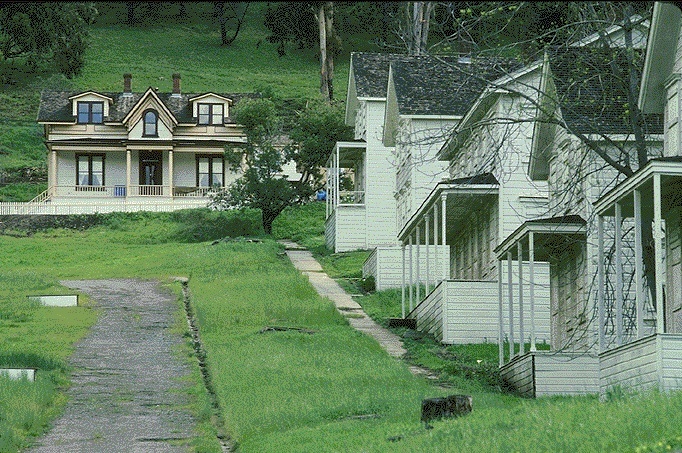 Abandoned military buildings on east side of Angel Island, 2014. 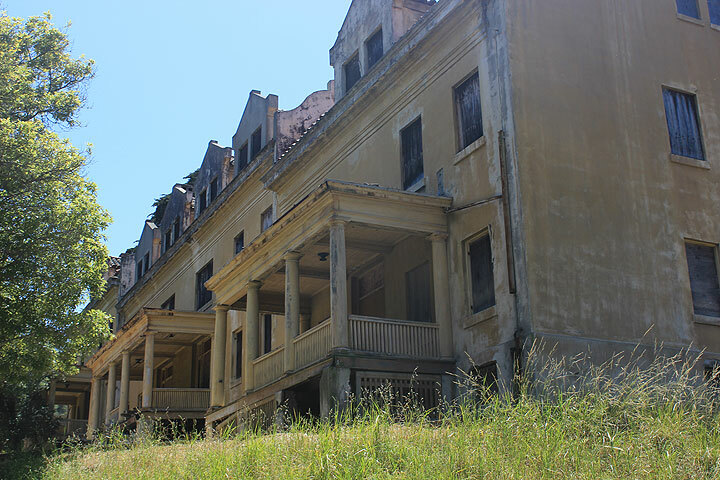 Abandoned living quarters, east side of Angel Island. 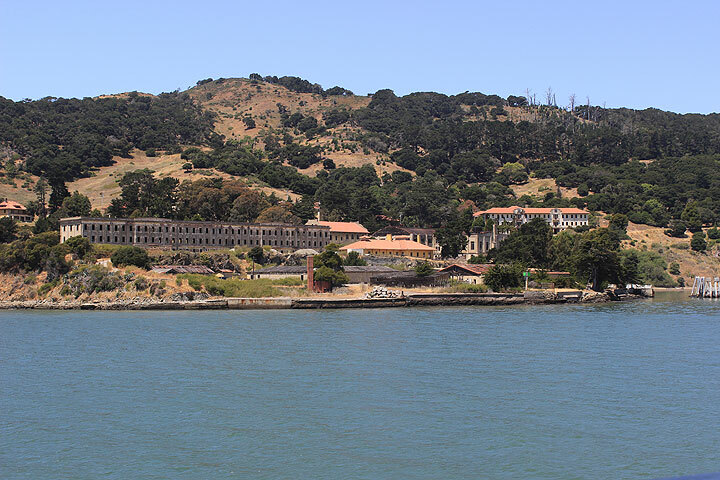 Angel Island's military history goes back far beyond the insanity of the Cold War. During the Civil War, the island housed a fort, which, like the fortifications at the mouth of the Golden Gate, served as an utterly ineffectual defense against an invasion that would never arrive. The military base later became a troop embarkation point during World War Two, housing over a thousand soldiers at a time. From 1906 until World War Two, the Island's barracks served as an internment camp for mostly Chinese immigrants. You can still see the graffiti they left behind, mixed with the racier (and, for English speakers, more comprehensible) commentaries etched in stone by soldiers en route to their likely deaths in the bloody war in the Pacific. 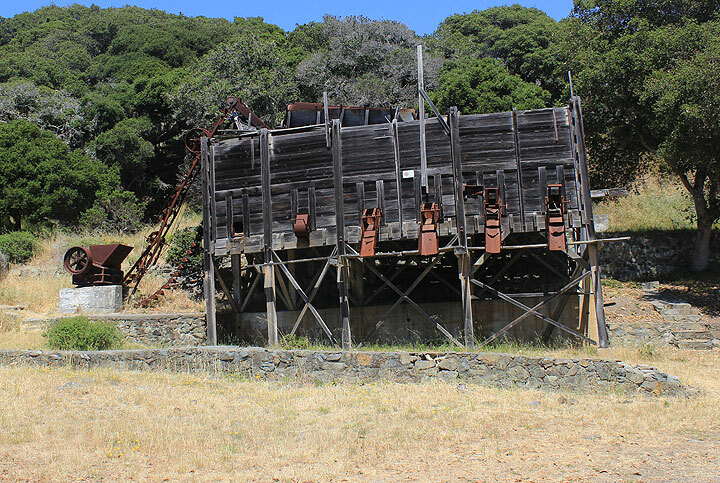 Abandoned quarry equipment, southwest slope of Angel Island, 2014. 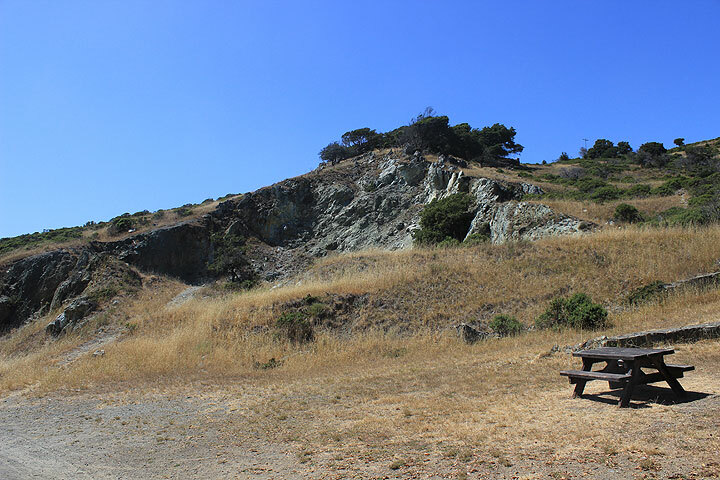 Long abandoned quarry, Angel Island.